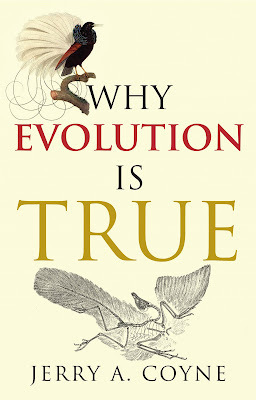 Why Evolution Is True by Jerry Coyne is one of the best popular books on evolution. If you can only buy one book this year then this is the one to buy. It contains an excellent explanation of all the basic facts about evolution. The first chapter in Why Evolution Is True is "What Is Evolution?" This is an appropriate way to begin and Jerry Coyne starts off nicely by saying that "Darwinism" is the theory of evolution by natural selection. He then proceeds to describe the main tenets of the modern theory of evolution, taking the time to point out that, "the mechanism of most (but not all) of evolutionary change is natural selection." The sixth tenet of modern evolutionary theory is, "processes other than natural selection can cause evolutionary change." He's talking about random genetic drift although, like most adaptationists, he feels compelled to add a qualifier. The influence of this process on important evolutionary change, though, is probably minor, because it does not have the moulding power of natural selection. Natural selection remains the only process that can produce adaptation. Nevertheless, we'll see in chapter 5 that genetic drift may play some evolutionary role in small populations and probably accounts for some non-adaptive features of DNA. Okay, so it's not perfect, but at least he isn't confused about the difference between "evolutionary theory" and "Darwinism". Right? I don't get it. If Darwinism is evolution by natural selection and modern evolutionary theory includes the idea that not all evolution is caused by natural selection, then how can Darwinism be used as a synonym for evolutionary theory? I checked the index for "Darwinism" to see if there was a discussion about this elsewhere in the book. It wasn't much help since the index entry was: "Darwinism, see evolution." 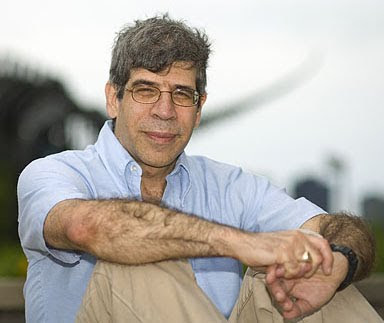 Jerry Coyne is an adaptationist in the sense that he focuses most of his attention on natural selection and gives other mechanisms of evolution short shrift. This does not mean that he ignores them completely as I just showed. He knows about random genetic drift and he described it accurately (see below). The problem is that he tends to forget his lessons when his mind isn't focused on the differences between evolution and natural selection, and Darwinism vs random genetic drift. In spite of the title of chapter 1, it doesn't really explain what evolution is. It concentrates more on describing evolutionary theory than on actually defining evolution. However, when we get to chapter 5 we to find an adequate definition of evolution. Jerry Coyne says, "Most biologists define evolution as a change in the porportion of alleles (different forms of a gene) in a population." Both drift and natural selection produce genetic change that we recognize as evolution. But there's an important difference. Drift is a random process, while selection is the anti-thesis of randomness. Genetic drift can change the frequencies of alleles regardless of how useful they are to their carrier. Selection, on the other hand, always gets part of harmful alleles and raises the frequencies of beneficial ones. As a purely random process, genetic drift can't cause the evolution of adaptations. It could never build a wing or an eye. That takes nonrandom natural selection. What drift can do is cause the evolution of features that are neither useful nor harmful to the organism. This sounds like a typical adaptationist speaking. As a general rule, adaptationists admit to random genetic drift but confine it to small populations. They also make sure you understand that drift can't cause adaptation. Finally they state their opinion that drift only affects neutral alleles. This is exactly the sort of thing Gould and Lewontin were complaining about in the "Spandrels" paper of 1978. At this point, some evolutionists will protest that we are caricaturing their view of adaptation. After all, do they not admit genetic drift, allometry, and a variety of reasons for non-adaptive evolution? They do, to be sure, but we make a different point. In natural history, all possible things happen sometimes; you generally do not support your favorite phenomenon by declaring rivals impossible in theory. Rather, you acknowledge the rival, but circumscribe its domain of action so narrowly that it cannot have any importance in the affairs of nature. Then you often congratulate yourself for being such an undogmatic and ecumenical chap. We maintain that alternatives to selection for best overall design have generally been relegated to unimportance by this mode of argument. This describes the views of many adaptationists but Jerry Coyne does not exactly fall into that mode of thinking—at least not when his attention is focused on the issue. In fact, genetic drift is not only powerless to create adaptation, but can actually overpower natural selection. Especially in small populations, the sampling effect can be so large that it raises the frequency of harmful genes even though selection is working in the opposite direction. This is almost certainly why we see a high incidence of genetically based diseases in isolated human communities, including Gaucher's disease in northern Swedes, Tay-Sachs in the Cajuns of Louisiana, and in retinitis pigmentosa in the inhabitants in the inhabitants of the island of Tristan da Cunha. This is very important and Jerry Coyne is one of the few adaptationists who get it. Random genetic drift doesn't just work on neutral alleles. It can also lead to high levels of deleterious alleles. Even their eventual fixation. It would have been great if he had pointed out that random genetic drift can also lead to the loss of beneficial alleles making natural selection a stochastic process. Because certain variations in DNA or protein sequence may be, as Darwin puts it "neither useful nor injurious" (or "neutral" as we now call them), such variants are especially liable to evolution by drift. For example, some mutations in a gene don't affect the sequence of the protein that it produces, and so don't change the fitness of its carrier. The same goes for mutations in non-functioning pseudogenes—old wrecks of genes still kicking around in the genome. Any mutations in these genes have no effect on the organism, and therefore can evolve only by genetic drift. Many aspects of molecular evolution, then, such as certain changes in DNA sequence, may reflect drift rather than selection. It's also possible that many externally visible features of organisms could evolve via drift, especially if they don't affect reproduction. The diverse shapes of leaves of different tree species—like the differences between oaks and maple trees -- were once suggested to be "neutral" traits that evolved by genetic drift. But it's hard to prove that a trait has absolutely no selective advantage. Even a tiny advantage, so small as to be unmeasurable or unobservable by biologists in real time, can lead to important evolutionary changes over eons. The relative importance of genetic drift versus selection in evolution remains a topic of hot debate among biologists. It's impressive that Coyne admits to the possibility that externally visible features could be neutral and could evolve by random genetic drift. However, he immediately qualifies the statement by pointing out that it's very difficult to prove whether a trait has absolutely no selective advantage. This is true, but adaptationists usually forget to mention two things about natural selection that weaken this argument. First, they forget to mention that it's often just as difficult to prove that a trait has a selective advantage. Second, traits with small advantages are most often lost before they are fixed. Natural selection is not random but neither is it as much of a sure thing as most people believe. To my way of thinking, Jerry Coyne clearly falls into the adaptationist camp. But on the continuum from pluralist to adaptationist he lies somewhere close to the middle, albeit still on the adaptationist side. The fact that he's close to the middle is among the reasons why I think this book is so good. Hear Coyne talk about his book: Phrasing a Coyne: Jerry Coyne on Why Evolution Is True. 1. This is technically correct. Individual alleles will be fixed much faster in small populations than in large populations ... if they are fixed. But this does not mean that random genetic drift only fixes genes in small populations. 2. The founder effect is an important feature of evolution by accident. All evolution is genetic drift. Selection just influences the probable direction of the drift. You can have positively selected alleles that nevertheless are eliminated from a population. The converse is also true: you can have negative fitness alleles that get fixed in a population. These aren't *likely* events, but it's still an exercise in probability. The math on this is pretty well worked out. I don't understand why there's confusion or debate. Very well explained. I look forward to the next in the series. "Anonymous" you are making either a very deep point, or a semantic one. If we treat fitness as a random variable then it is difficult to separate out deterministic from stochastic processes at times; on the other hand, if we can causally assign a reason as to why some genotypes leave more descendants than others, then we can say that selection--as opposed to drift--is occurring. There shouldn't be confusion regarding this debate, as you note, but to suggest that the evolution of the eyeball in some lineage was due to drift (as you imply: "all evolution is drift") is just wrong, both semantically and theoretically. The expectation of a probabilistic outcome still matters, and when it does and we can find a reason why it does, we call it selection. But I was originally going to post a comment here saying that Larry might be interested in seeing Rasmus Nielson's commentary in the recent issue of Evolution: "Adaptationism: Thirty years after Gould and Lewontin." Anonymous (#1) is right. In fact, I think this kind of distinction between "selection" and "drift" is absurd. If one organism survives to produce more viable offspring than another, it is, ipso facto, the more fit. If a small gene pool acquires by "drift" high levels of gene that would ordinarily be considered deleterious, the gene obviously was not deleterious under those circumstances. (Even this is, however, a serious oversimplification, since selection does not work on individual genes.) To claim that otherwise is to assert that each mutation can be unambiguously labeled as advantageous, disadvantageous, or neutral, by reference to some Platonic ideal of selection pressure. But in that form, the claim is preposterous. Selection pressures are contingent phenomena, and what survives them is, by definition, the most fit. Rich Lawler is right that, to some extent, this is a semantic point. He is also right that the distinction between drift and selection is not meaningless. However, I only said that "this kind" of distinction between selection and drift is absurd. It is reasonable to speak of genes that are advantageous under nearly all circumstances and those that are similarly disadvantageous. And it is reasonable to look at populations with many seemingly unfavorable alleles and ask what unusual selection pressures (or absence of pressures) allowed these to accumulate in the gene pool. "Genetic drift" is a perfectly good answer, so long as we are careful with what we mean by this term. But Lawler is dead wrong that there is any real distinction between "deterministic from stochastic processes." The former apparently refers to the way in which evolution would proceed under those Platonic selection pressures. But those do not exist. And it is meaningless to talk about events being "deterministic" if they can be modified by a additional random effects. I'm not sure what you mean by "platonic selection pressures." But apart from that, I was implying that "deterministic" processes are "directional." In this conceptualization, it is easy to distinguish directional processes from stochastic ones. I take this distinction from the evolutionary models of diffusion theory where deterministic and stochastic processes are defined and modeled by non-zero expected change and zero expected change over time, respectively. I wasn't initially clear about equating deterministic with directional processes, but that's what I meant, and to me, they are easily mathematically separable (and we can attach terms like "selection" and "drift" to these different outcomes); perhaps they are not so separable philosophically, but to be honest that issue is way way beyond my expertise. What I like in Coyne's book is that it's focused on the connection between natural selection and adaptations. That's only my impression, but if correct it looks like a good strategy to circumvent the issue of the relative importance of selection vs drift in evolution. Once the scope is restricted to adaptations, the main competitor to natural selection is the idea of 'spandrels' - useful features that look like adaptations but were not shaped by selection. Coyne's message, as I read it, is that one should not worry too much about spandrels and other nonselectionist explanations, because most of what looks like an adaptation is indeed an adaptation. To me, Coyne's adaptationism looks quite peculiar, and interesting: adaptations are traits that appear to have a function; natural selection can proceed in a 'Darwinian' fashion, selecting for function. So there is probably a vast intersection between prima facie adaptations and traits shaped by natural selection ('confirmed' adaptations, so to speak, or just 'Darwinian adaptations' since they conform to the original idea). After Gould and Lewontin, many have stressed that what looks like an adaptation can be the outcome of a process different from selection, and that natural selection can result in the fixation of nonadaptive traits. As I read him, Coyne is ready to acknowledge all this, but thinks that the importance of these deviations is negligible when compared to the amount of 'Darwinian adaptations' one can find. Doesn't it sound persuasive? Ugh Vargas, forgot to take your pills again? Anyway, is half-way through Dawkins contribution to the theme, and have just ordered this one. Great stuff! "Selection pressures are contingent phenomena, and what survives them is, by definition, the most fit"
By what definition? Perhaps the "fitness" of Population Genetic models. But, no. By chance, the poor fit can survive or reproduce more. The theory postulates a correlation: the most fit *tends* to survive and reproduce more. Anonymous (#1) is right. In fact, I think this kind of distinction between "selection" and "drift" is absurd. If one organism survives to produce more viable offspring than another, it is, ipso facto, the more fit. What you say is absurd. There many reasons why one organism survives and another does not and most of those reasons have absolutely nothing to do with fitness. That's why some people refer, correctly, to evolution as "survival of the lucky." If we adopt your version of fitness then what you are saying is that all victims of Sept. 11, 2001 were "less fit" than their brothers and sisters and cousins. LM is correct. Buzz' statement makes no sense. Evolution of populations is driven by changes in allele frequencies in that population. A given allele can have a fractional fitness coefficient associated with it from -1 (never inherited) through 0 (neutral) to +1 (always inherited) with all fractional values between -1 and +1 allowed. The fraction of a population carrying a given allele can then be modeled by an iterative biased random walk where the degree of bias is determined by the fitness coefficient of the allele in question. When the bias is zero, the allele is driven through the population by a purely random walk: this is drift. When the bias is strong in one direction or the other, the process is called "selection". The stronger the bias is, the more likely the allele frequency will move in concordance with the direction of the bias, nevertheless, allele frequencies can and do move in opposition to the direction of bias from time to time for purely stochastic reasons. You can debate the frequency with which various alleles map onto different values of fitness that bias the random walk, but the underlying mechanism of evolution is the same. This is a molecular genetics argument of course. Rich Lawler's comment that "to suggest that the evolution of the eyeball in some lineage was due to drift is just wrong" is orthogonal to the the molecular argument since eyeballs don't evolve, gene sequences do. I suppose at some level, my claim is a semantic one, but that doesn't make it meaningless. And I don't have any problem saying that people who died in the World Trade Center, or my relatives who died in the Holocaust, were, based on the selection conditions of the time, less fit. I have no problem with this, because I don't view biological fitness as representing a moral evaluation, or any kind of value judgment for that matter. I wouldn't make a statement like that a dinner party, but I believe that it is a mathematically correct proposition about population dynamics. I would argue that there is no distinction between random and directed processes. The only real difference between the two is whether we have enough information to predict them. As I said, there are cases where describing something as "deterministic" or "stochastic" may be a useful shorthand; some pressures may act in nearly uniform fashion on most or all members of a species over an extended period of time. But there is a vast gray area, where whether something appears to be random is an artifact of how closely we have really studied it. Thus, trying to quantify how much of evolution is due to adaptation versus drift becomes is a meaningless exercise. The "Platonic selection pressures" I spoke of were what you would consider the selection pressures in the absence of all random events; this is what would cause organisms to evolve purely by adaptation. But I aver that this is not a well-defined set of conditions. If the arbitrariness of the distinction you are trying to draw is not clear, consider the example of a large comet impacting the Earth. After the impact, the fitness landscape will change drastically. Organisms that prospered before may be swiftly wiped out. I imagine you would want to describe this as a random event, but it clearly is not. In fact, if there were technologically intelligent creatures on Earth at the time, the impact could be predicted centuries or millennia in advance. selection and drift are indeed the same if you see them simply as chains of events leading to differential reproduction. The point is that there are different patterns of differential reproduction, captured by models that are based on the distinction between selection and drift. Assessing which model is a better fit for the data is an important part of science. Why this is so - why we are often satisfied with answering a "how" question by devising an abstract model instead of reconstructing a chain of events - is an important epistemological question whose answer may be related to the productive character of our knowledge, our ability to get along (from a cognitive point of view) with limited resources. The distinction between selection and drift is productive. Following what you say in your latest response, I would notice that your notion of fitness does not make any difference between Jews in Nazi Germany (or Fascist Italy, by the way), who were actually "selected against" by those regimes, and those who happened to be in the twin towers on 9/11. Don't you really see a difference, both in terms of "population patterns" and of conceptual tools needed to explain what happened? The problem, as I see it, is that our definitions should do some explanatory work. Roughly, selection implies some phenotypic traits (e.g., functional, or fertility-related, but protein function is equally suitable), whose effects on differential reproduction can be understood in terms of how biological systems work. 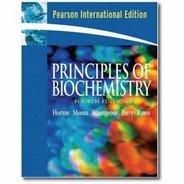 Once you have entered the "fitness" business, lots of biological disciplines can contribute their knowledge of facts, laws and regularities. They might even support non-selectionist explanations for features apparently due to selection. Drift doesn't need all that (which is not to say it can ignore phenotypic effects, or that it is less important). That's why I think your notion of fitness is, to say the least, not very productive. Anonymous 1: “All evolution is genetic drift. Selection just influences the probable direction of the drift. You can have positively selected alleles that nevertheless are eliminated from a population. The converse is also true: you can have negative fitness alleles that get fixed in a population. These aren't *likely* events, but it's still an exercise in probability. The math on this is pretty well worked out. I don't understand why there's confusion or debate. I'm not sure I agree with you. To me, the moment we can causally assign a selective advantage to an allele--that is, the moment an allele causes the phenotype it builds to out-survive and out-reproduce other genotypic lineages that lack that allele--then we can say selection is occurring. It's all about causation--if an allele causally contributes to the fitness of a genotype, then selection is occurring. Demonstrating this empirically might be difficult but that doesn't mean the distinction isn't meaningful. Say--omnisciently--we found out that every allele that contributed to the formation of the eyeball in the human lineage had a fitness advantage of 0.00000001%--does this mean that the eyeball--according to you--evolved by drift? We don't need to concern ourselves with "replaying" the situation. Diffusion theory is a forward looking process, so if we modeled both stochastic and directional processes in time-forward, we could easily separate out forces that push a population in one direction (recurrent mutation, selection) from forces that push it in either direction 50% of the time (drift). The idea of a drunk walking on a pier is to connote the random part of the walk--every step right or left is a coin-flip. To introduce a directional process into this example, we'd have to include a sober person, who walked straight. But if the pier was sloped--as in your example--then we could say that the slope in the pier is negatively selecting individuals, both sober and drunk, so long as we can causally determine that folks were slipping off the edge because of the slope.